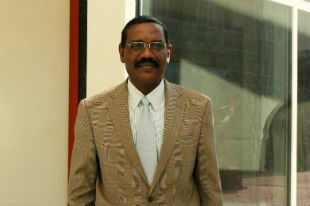 Dr. Getahun Benti received his Ph.D. in African history from Michigan State University in 2000 and came to SIU in the same year. He teaches courses in African and world history, including a comparative slavery course. Professor Benti’s research interests include urbanization-migration studies and the relationship between migration, language, and nationalism in Ethiopia. His most recent book is Urban Growth in Ethiopia, 1887-1974.